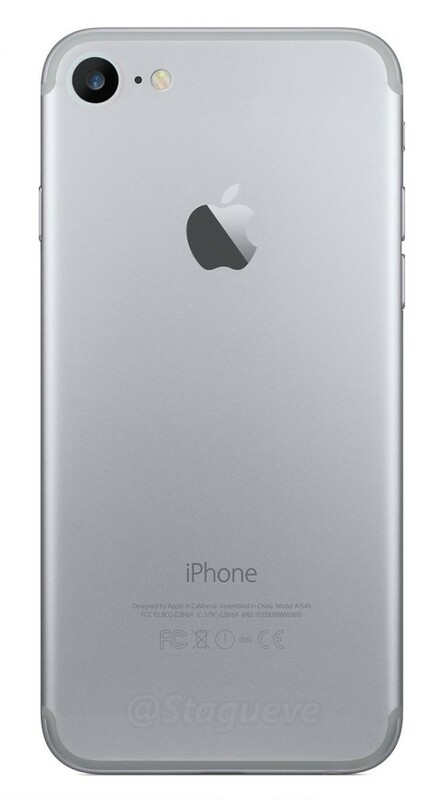 This render here is in line with the pink one we’ve shown a few days ago, albeit without a dual camera. The antenna lines have migrated from below the camera to above it and more like on the upper and lower edge of the device, for a cleaner back side. This also opens the door to an even more rounded iPhone and seeing how the audio jack will be missing from the next iPhone, the antenna line will be easier to integrate into the bottom. This is all talk, speculation and make believe right now, so don’t bet on it. The camera feels bigger here and moved a bit towards the center of the back and less into the corner. Opinions?